Light yellow color with green hues. The first nose develops exotic fruity flavors. The agitation reveals more oral notes of jasmine and rose. The attack is intense, on the fruit, followed by a voluminous but balanced mid-palate. The finish leaves a lingering feeling of sweetness on notes of candied fruit. 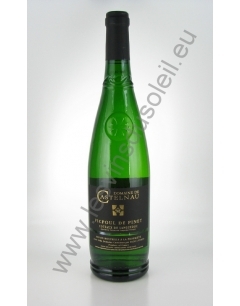 Grape varieties : 100% Picpoul. Suggesties / Food pairing : Il accompagnera idéalement tous les produits de la mer, en particulier les coquillages. Castelnau Le Domaine has ancient origins, possessions of the Lords of Guers from the thirteenth century. 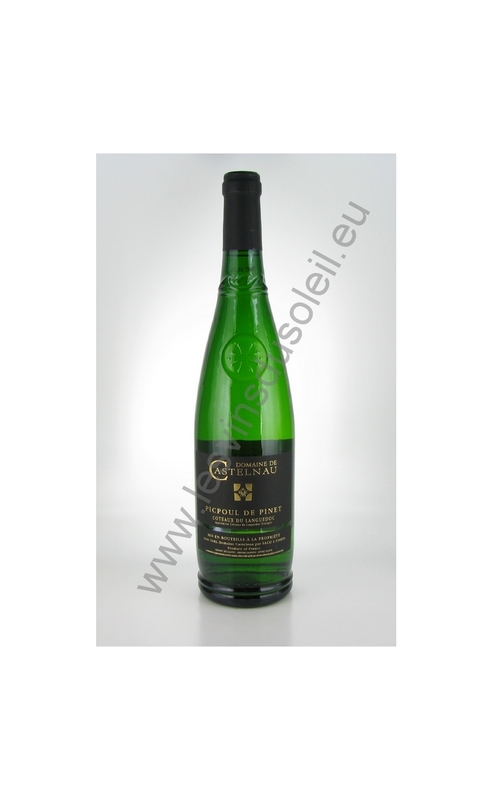 It is located 4 kilometers from the historic town of Pézenas, near the Thau lagoon in AOP appellation Picpoul de Pinet. The winery is at the entrance of the town of Castelnau-de-Guers. The vineyard of Domaine de Castelnau extends between plains and scrubland, it covers a hundred hectares. The driving culture is done using the most modern means, with all Land son and reasoned treatments. Vinification combine traditional methods and the latest technology.